As a coffee aficionado, I’ve tried a variety of coffee throughout the years. Some coffee beans were unforgettable because they left me with a strong impression of deliciousness, and some were below average. My absolute favorite, however, is Kona Coffee from Hawaii. Kona Coffee is a premium grade of Arabica coffee grown on the west coast of the Big Island of Hawaii, which is also known as Kona Coffee Belt. The Kona growing region offers ideal climate conditions for growing coffee due to its altitude, weather, and mineral-rich volcanic soil. 100% Kona Coffee is actually very rare and you normally cannot find it in grocery stores. Because of its purity and high price, most retailers sell “Kona blends” instead. Did you know that “Kona blend” actually only consist of as little as 10% of Kona Coffee combined with 90% of other varieties. You might be able to find 100% Kona Coffee in specialty coffee shops, but you should be careful when buying from lesser-known retailers that you are not familiar with. Avoid “Kona blend” if you are looking for a 100% Kona Coffee. 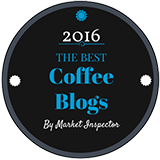 In today’s article, I’ve prepared reviews of several 100% Kona Coffee from Hala Tree, a family owned and operated Kona Coffee plantation that won several awards in the past few years. Hala Tree, a conscious business enterprise, is a USDA certified organic coffee grower who cares about our planet and doesn’t use any chemical fertilizers or pesticides. As usual, I ground the coffee just before brewing and performed a mini coffee cupping session to evaluate the quality and taste. Aroma : Black raisin, hints of sweet tobacco, and leather overtone. Body : Medium body, well-balanced. Acidity : Creamy, low acidity. Flavor : Black tea, tobacco, nuts, good complexity. Finish : Buttery smooth, lingering finish, with hints of licorice. This “Medium Roast” from Hala Tree is the highest grade coffee that contains the largest and blemish-free coffee beans and we call it Extra Fancy! The coffee cherries were hand-picked, went through a washed process, dried, and roasted to perfection. This is a medium roast that suits the Kona Coffee beans very well. It brings out the nutty, creamy, and slight licorice overtone in typical Kona Coffee, classic! Aroma : Balsamic, strawberry, cherry, red fruits driven. Body : Somewhere between light to medium body, balanced mouthfeel. Acidity : Bright and crisp. Sweetness : Sweet with citrus notes and hints of honey. Flavor : Wood notes, wine-like flavor, complex. Finish : Very smooth, clean, and approachable, leaving a medium length of finish. Very unique coffee made from a unique unwashed process. In this dry process, coffee cherries were picked and dried with the pulp and skin still on the beans. This leads to a sweeter, smoother, and more complex coffee when compare to other coffee processing methods. Aroma : Red fruits, candy-like aroma. Body : Medium body, clean and elegant. Acidity : Delicate subtle citrus notes. Pleasant acidity. Sweetness : Slightly sweet with a sort of caramel overtone. Flavor : Oolong tea, blackberry, floral, hint of vanilla. Rich and concentrate. Finish : Exceptionally smooth. Lush and long lingering finish. It’s the coffee of coffees! The Bourbon coffee varietal is a sub-species of Arabica coffee. It is one of the most popular varietals in the world where the cherries will ripen to red, yellow, or even orange. Red Bourbon picking is a long labor intensive process but the end results are rewarding and worth the effort. “Hala Tree Red Bourbon” is elegant and well balanced. It has zero bitterness with good initial, up-front taste and lingers around for quite some time afterwards. Overall, Hala Tree produces very high quality 100% Kona Coffee and did not disappoint me. I definitely can see and feel their hard work, passion, and love in their coffee. Good coffee comes from people who care, and it starts with the right choice of coffee beans. Did I mention that Kona Coffee beans from Hala Tree are all certified organic? Note: Hala Tree provided the coffee for review.